Junius on UKIP: UKIP's vote continues to drop! 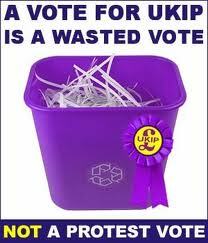 Forget all the Farage spin about UKIP's vote increasing! Here's yet more proof that UKIP is NOT on the rise! UKIP vote down by 101 votes since May 2011.